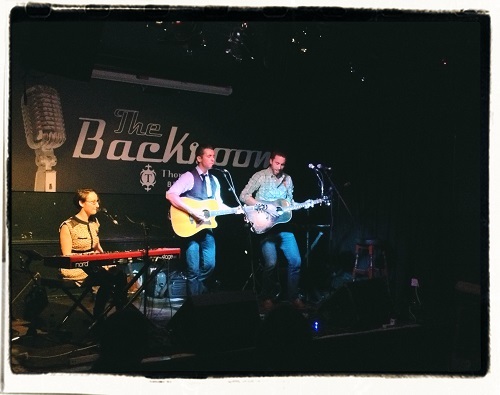 2013 all wrapped up for WagonWheel Presents… as far as shows at The Greystones go. It was another evening of the finest quality live music with Royal Wood, Peter Katz and Big Convoy. Thanks go to them and all those who came along too. We’ll return to The Backroom in February. Show details are here. It’s not all done and dusted though, November still sees us with two more shows to come at Shakespeares. On Wednesday November 20th we welcome back The Lucky Strikes along with Grassoline and Tom Baxendale. Details are here. Our final show of the year will be on Saturday November 30th with Laurel Canyons, Killing Fields Of Ontario and The Farewell State. You can hear a track from all six acts still to come here.